Retirement had been kind to Norman Schwarzkopf. Scattered post-war revelations—Patriot missiles missing every SCUD fired by Iraq, Saddam still entrenched in Baghdad—had failed to shake the public’s favorable perception of “Stormin’ Norman” as triumphant war hero. The former general enjoyed lucrative speaking engagements around the country and he served as a paid consultant to NBC News. Six years after America’s “victory” in Desert Storm, the only nettlesome issue confronting Schwarzkopf was “a few” sick soldiers with unexplained illnesses. The Senate Veterans Affairs committee, now chaired by Arlen Specter of Pennsylvania, asked the general to come before the panel in late January 1997 to answer questions about potentially chemically contaminated veterans. He categorically denied any knowledge of chemical exposures among the troops he led into battle. It didn’t happen. Case closed. Schwazkopf was never placed under oath during his Congressional testimony. He lied to Congress but escaped a perjury charge. Not a single mention of these incidents can be found in the post-death coverage of Schwarzkopf’s career. Excerpt From: Patrick G. Eddington. 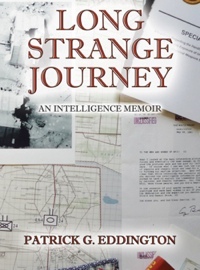 “Long Strange Journey.” iBooks. This entry was posted in Desert Storm. Bookmark the permalink.